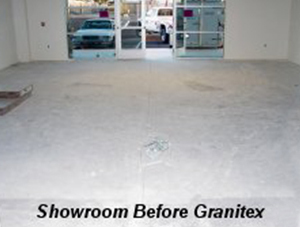 GRANITEX HD-8000 BAKED ON FLOOR SYSTEM FEATURING THE EXCLUSIVE POLYPHATIC GLAZE! Polyphatic Glaze is a hybrid combination of the extremely durable Polyurea base resin with UV &amp; a chemical resistant Aliphatic Urethane. 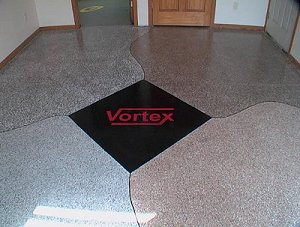 Polyphatic comes in either a solid high gloss color for solid colored floors, graphics, logos or splashes of color to give your surface a unique highlight or can be applied to give you a Faux Granite looking finish that looks like a million dollars. High impact and stain resistant. Our Unique POLYPHATIC Floor Glaze provides our dealers the opportunity to offer attractive, high impact durable, and longer lasting floor coverings. Thousands of custom designs and color combinations available. You create the color combination with your customer and give them a look that they want. 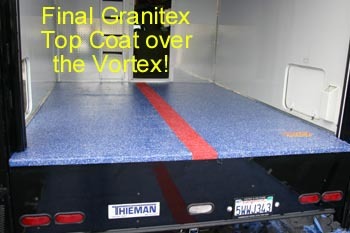 The Granitex HD-8000 system utilizes a BAKED ON FLOOR system. Heating the exclusive Polyphatic Glaze allows it to penatrate the flooring membrane making it both durable and high impact resistant. 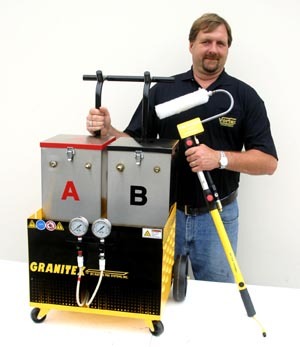 This system has revolutionized the flooring industry. 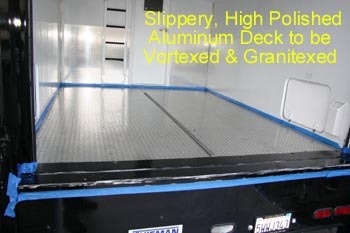 To create a slip resistant finish there are the Polyphatic Granules that will do a great job for you. The Polyphatic Granules are man made fired ceramic beads for extra hardness and uniformity that will last for years. 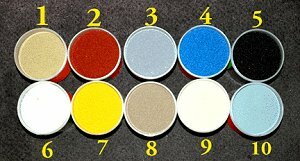 Texture can be applied either in a light grit for pool decks or coarse for steps and ramps. The choice is yours. Did you know that simple epoxy paint systems create a finish that dries really hard? In fact epoxy dries so hard that it becomes brittle. This is why when nuts, wrenches, and other small tools or items hit the floor you end up with a chip in the epoxy finish. You won’t get that result with the Polyphatic Glaze. 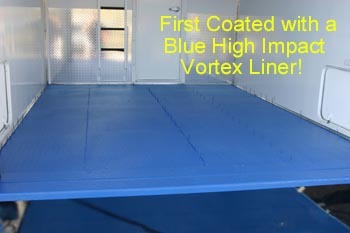 It’s super high impact surface can take a beating and come out a winner every time when compared to paint or epoxy. 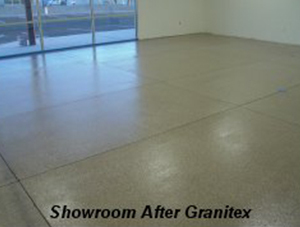 The secret to its success is the unique baked on finish the Granitex system delivers. It literally heats the glazes to fuse and bond them to the prepared floor. Simple, Fast and Exclusive.